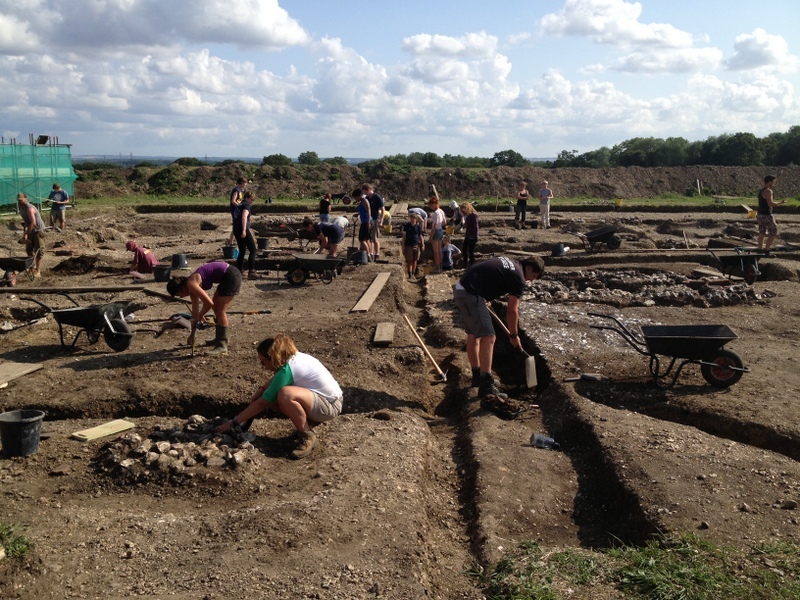 Starting with Insula IX: a photograph of the ditch running alongside the Iron Age street, extending into the distance beyond kneeling Tom. 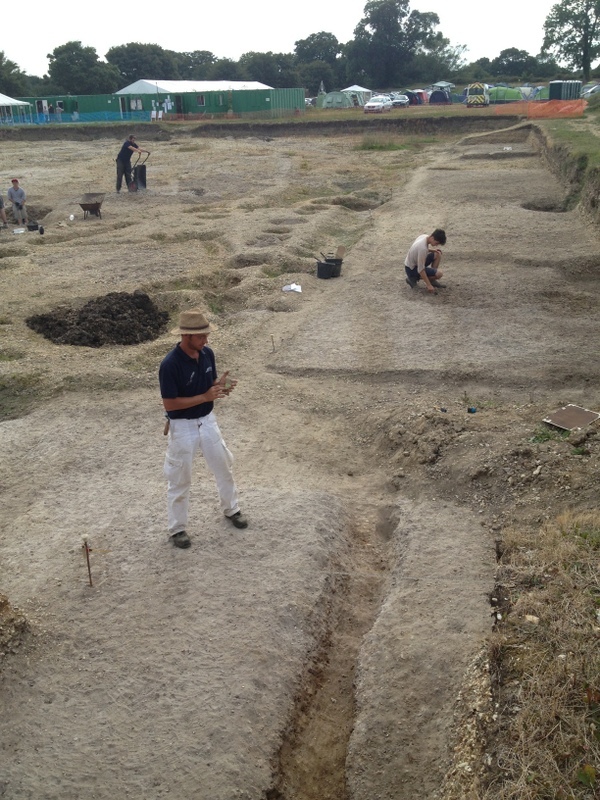 Edoardo and his team have brilliantly revealed the extent of this curving street beneath the east-west Roman street, flanked on both side by ditches. 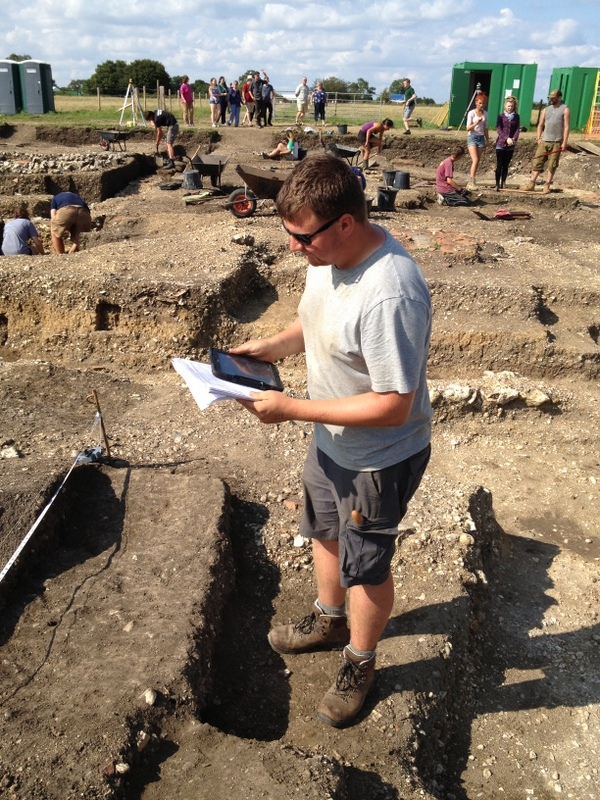 A quick hop over to Insula III reveals Jack using the iPad mini to record contexts….AND using his Silchester Handbook…..result! 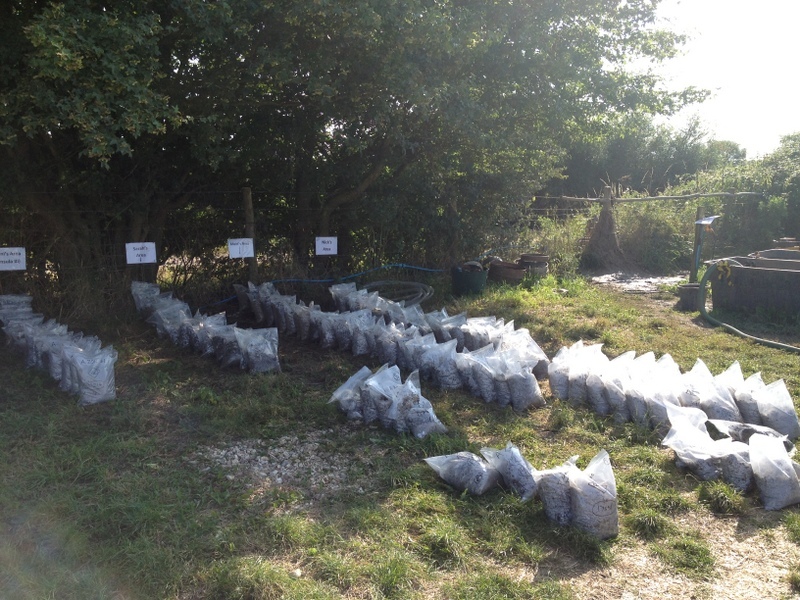 All over Insula III we are now carrying out small targeted investigations to answer particular questions and, hopefully, provide us with dating evidence. 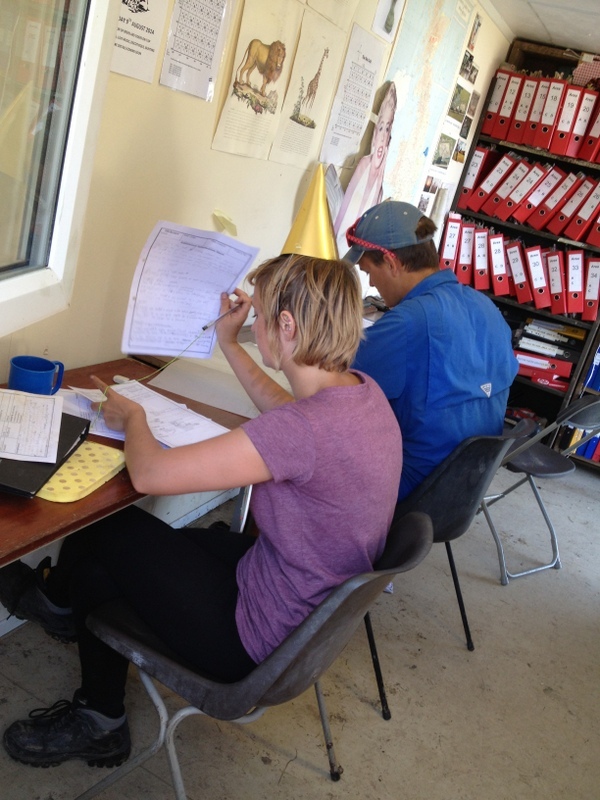 Back on Insula IX our busy Visitors’ team is welcoming between 100 and 300 visitors a day….this is a wonderful flow of visitors……all friendly and extremely interested. 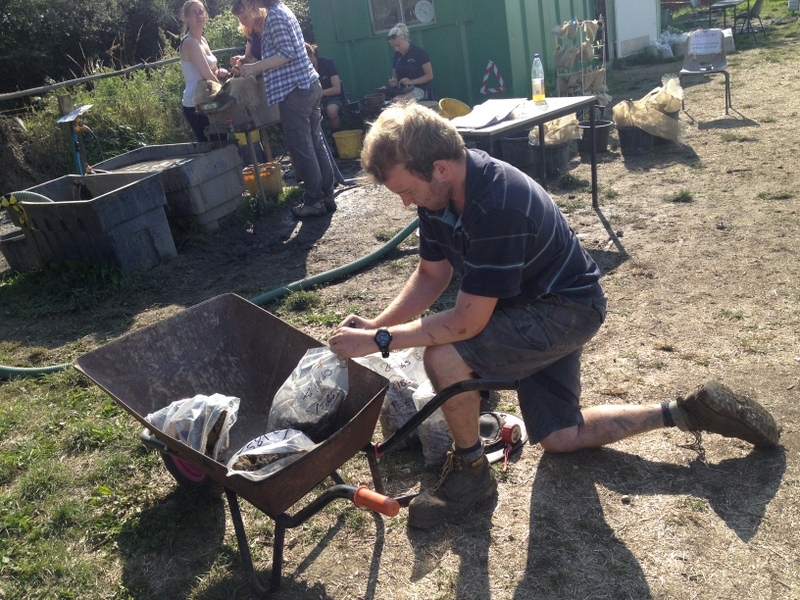 Our student ‘meeters and greeters’ are now regularly leading tours of up to a dozen people with great confidence and aplomb! 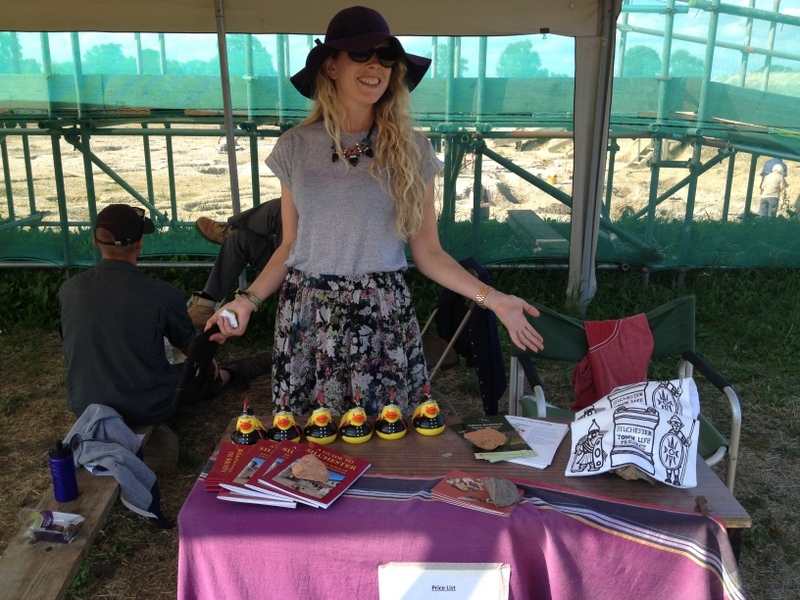 Glorious Zoe and some Silchester merchandise! 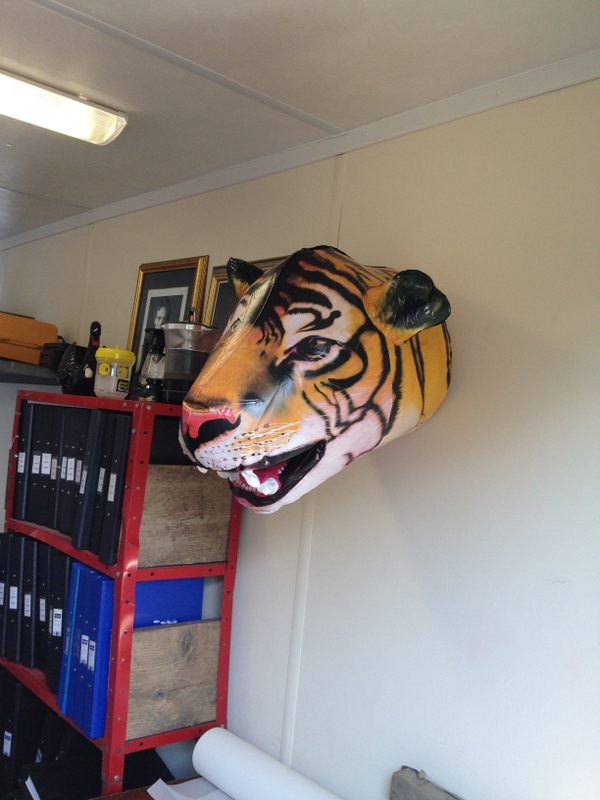 Meanwhile Science@Silchester are working flat out to collect, process and sort samples…..it’s a losing game as our on-site team put on the excavation pressure …..
A peak inside the Planning Hut reveals……a blow-up tiger’s head…. And…..today is Eliz’s birthday. Happy Birthday Eliz! 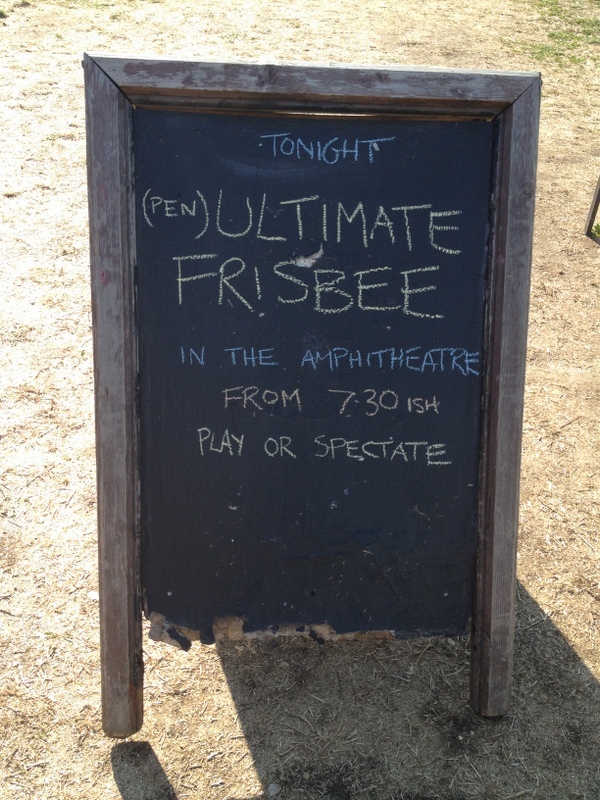 She plans to watch our (Pen)Ultimate game of Ultimate Frisbee tonight….